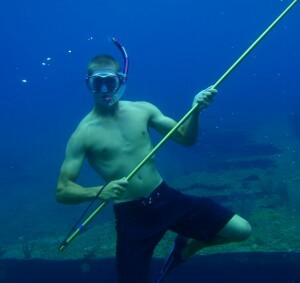 Diving aboard Ocean Jedi is awesome! Springtime is the perfect time to book a luxury catamaran charter in the magnificent islands of the Caribbean. The weather is picture perfect, the water temperature is about 80 degrees and excellent all-inclusive charter rates are available. 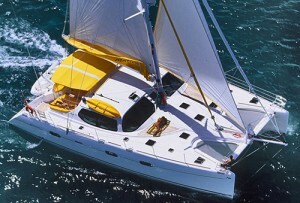 Now is the ideal time to charter a performance sailing yacht and embark on an unforgettable family vacation. Bond with loved ones by sharing exciting and educational adventures above and below the water line, while being pampered with first class service and fine cuisine. Spring is the time of love, what more passionate expression of devotion than a honeymoon or anniversary charter aboard a private yacht. 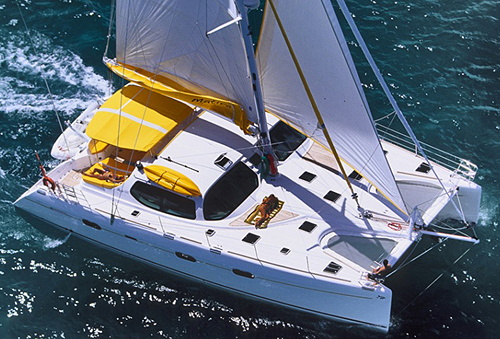 Sail to secluded bays in exotic Guadeloupe or the pristine beaches of Barbuda for a completely private experience. Enjoy divine meals with perfectly paired wines in the utmost romantic atmosphere of candles, rose petals and the gentle sounds of the sea. KING’S RANSOM has a very spacious layout with a warm and welcoming interior, a flybridge helm, huge trampolines and sophisticated aft deck arrangement, providing the ultimate atmosphere for either high energy sailing or complete relaxation. Guests will enjoy the broad beam and open architecture that works as well for a spirited cocktail party as for a romantic, formal dinner for two. 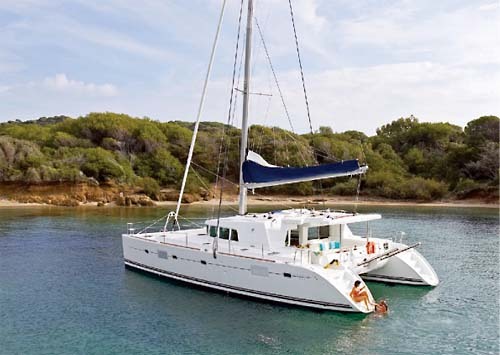 LADY ALLIAURA is a powerful catamaran that combines elegance, efficiency, classic styling and modern amenities to assure the perfect, Caribbean charter. 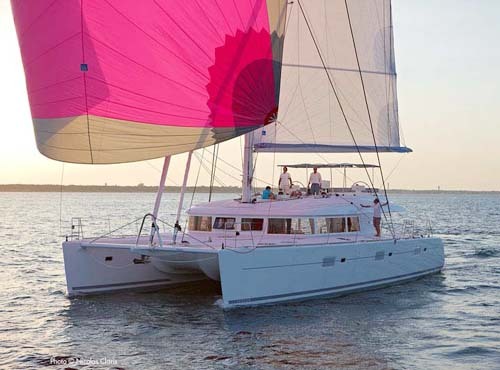 This yacht is a great option for couples, equipped with one king and three identical queen cabins, several bars, and plenty of social areas on board to enjoy impromptu parties. AVALON won the distinguished first place award for good reason, elected by charter professionals for Best in Show at the 2011 Tortola Charter Yacht Show. 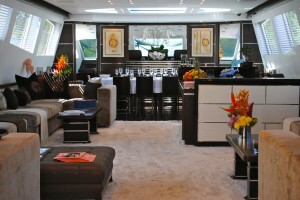 With her highly experienced crew and exceptional design, clients are assured a most unforgettable charter experience. 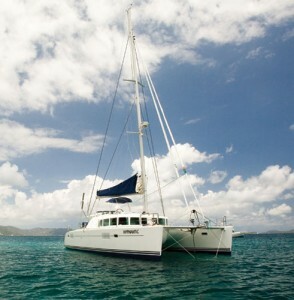 LADY BOU BOU, with comparable accommodations, is perfect for couples that enjoy chartering together. 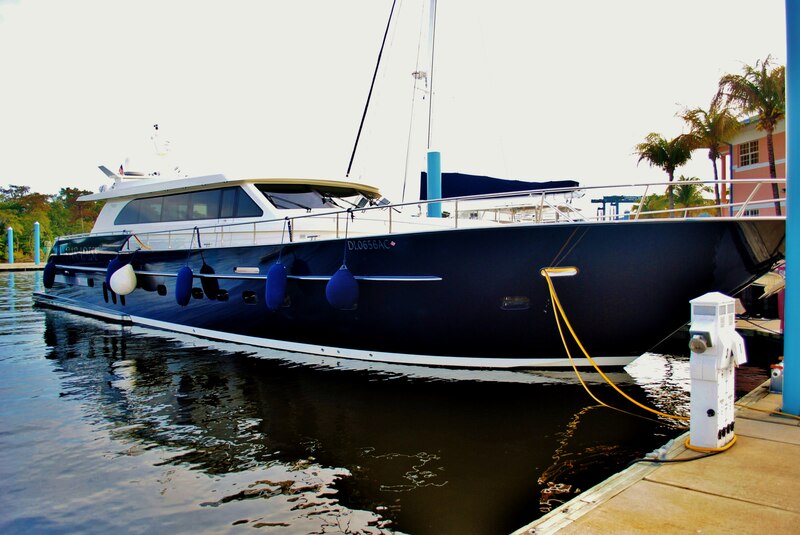 Whether anchored or underway, guests will appreciate the vast area provided by the 32-foot beam on this brand new 62-foot yacht. 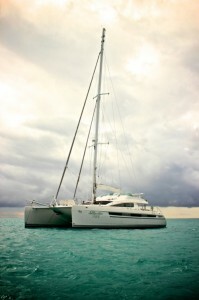 CATSY was voted by industry professionals as Best Multihull Over 50 Feet at the prestigious 2011 BVI Charter Yacht Show. CATSY’s advanced naval architecture answers the need for superb comfort combined with unmatched sailing performance. TIPUTA is a fully air-conditioned yacht with stylish beechwood interiors and modern furnishings with whimsical details that harmoniously combine luxury, sophistication and fun. 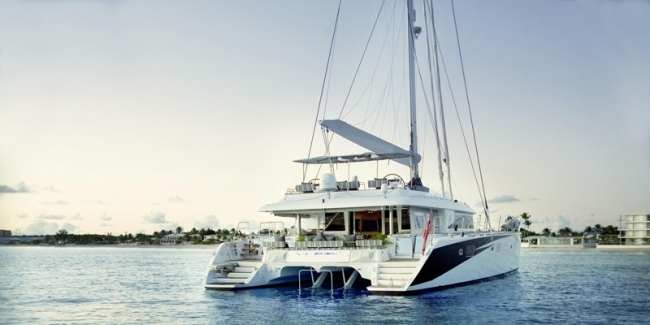 This popular charter yacht has an expert crew, memorable cuisine, fine amenities and lots of toys for an unforgettable Caribbean adventure. SOULS CALLING is an innovative design with two deck seating areas, one up top with a second helm station as well as a unique front cockpit so guests can always find a special place to unwind while cruising through dazzling tropical waters. 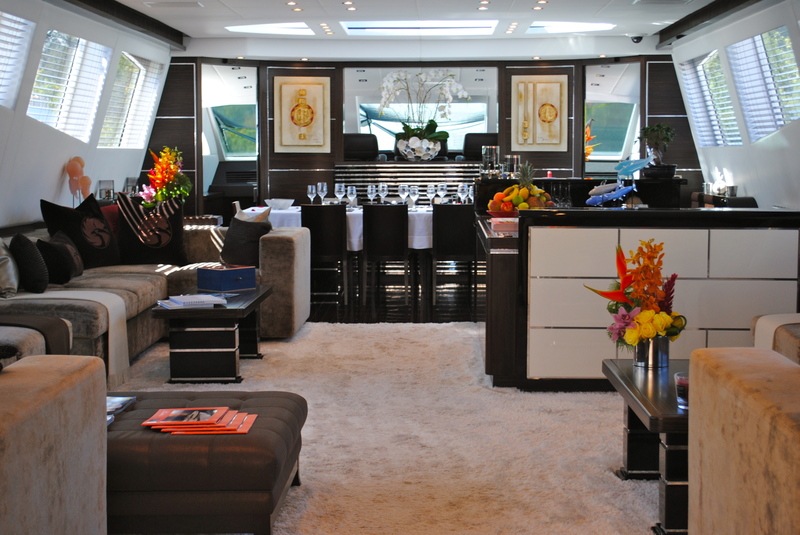 Whether stretched out on the front trampoline, in the spacious, covered back cockpit, or relaxing inside in the salon, there is always a gourmet snack, a game to play, a cozy nook for a book, a cold beverage, or a special signature cocktail waiting to be enjoyed. 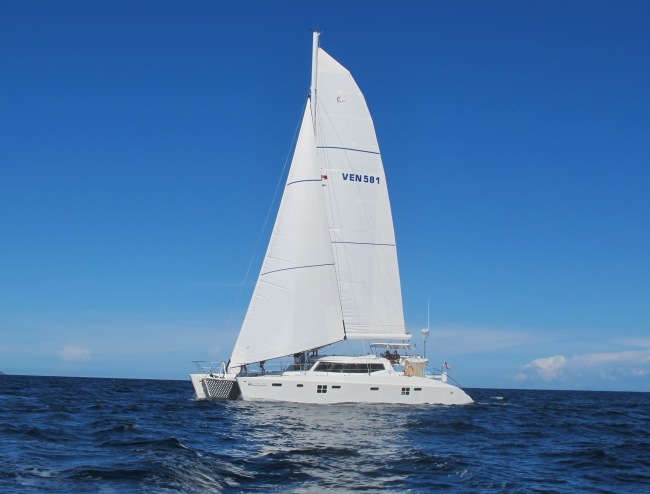 HAPPY TIME is time for sun and fun, time for sailing and playing in the azure blue waters and balmy breezes of the Caribbean, time to be pampered in luxury by a first class, private crew. This brand new yacht is designed by an owner dedicated to fun and to assuring guests on board will return again and again. 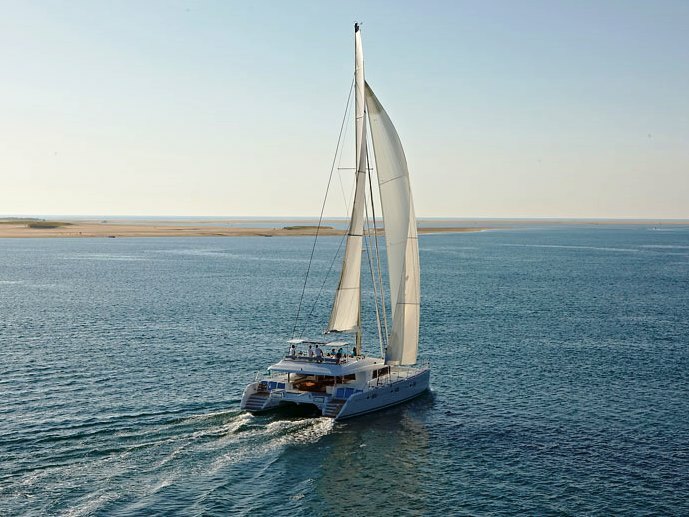 OCEAN JEDI is meticulously maintained and features creative, charming and often amusing touches and delightful amenities courtesy of a remarkably talented crew. 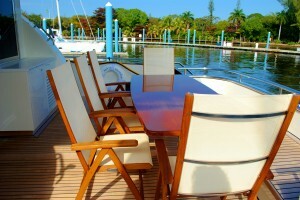 This is an excellent option for high energy charter guests who enjoy sports, games and spontaneous fun. HYPNAUTIC features a unique and very romantic master suite that occupies most of the starboard hull including a spacious sleeping area, a sitting area, plenty of storage space, and separate walk in shower. 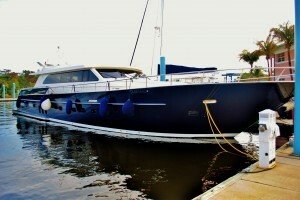 This elegant yacht is an excellent option for family and celebration charters. 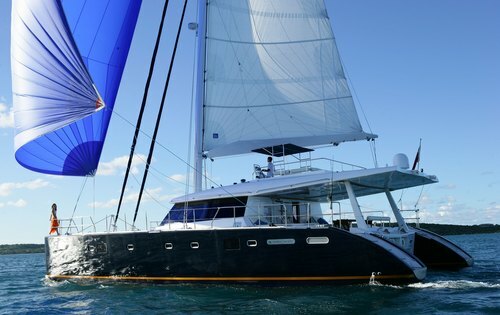 Sunreef Yachts Charter features a comprehensive selection of megayachts, sailing yachts, luxury catamarans and power boats for luxury crewed yacht charters in destinations worldwide. 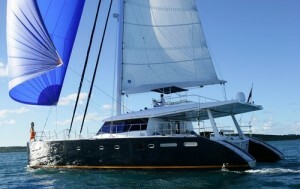 For detailed information, rates and availability, please contact a Sunreef Yachts Charter Professional. Italyachts 141′ MAKIRA, with a draft of less than 5 feet, is the perfect luxury charter yacht for exploring the shallow waters of islands such as Makira in the Solomon Island chain. At a cruising speed of 30 knots, the yacht flies over the waves, like the Makira Thrush, Makira Leaf Warbler and Makira Moorhen. 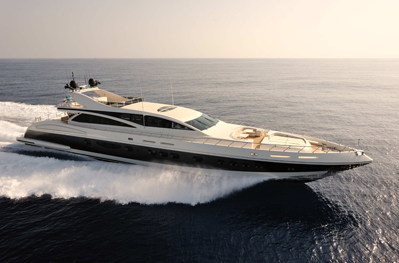 Luxury yacht MAKIRA is sleek, fast, sophisticated, fun and in many ways incomparable. Our Charter experts had the opportunity to tour MAKIRA , speak with the crew and sample the chef’s gourmet finger foods while the yacht was on display at the Miami Yacht and Brokerage Show. 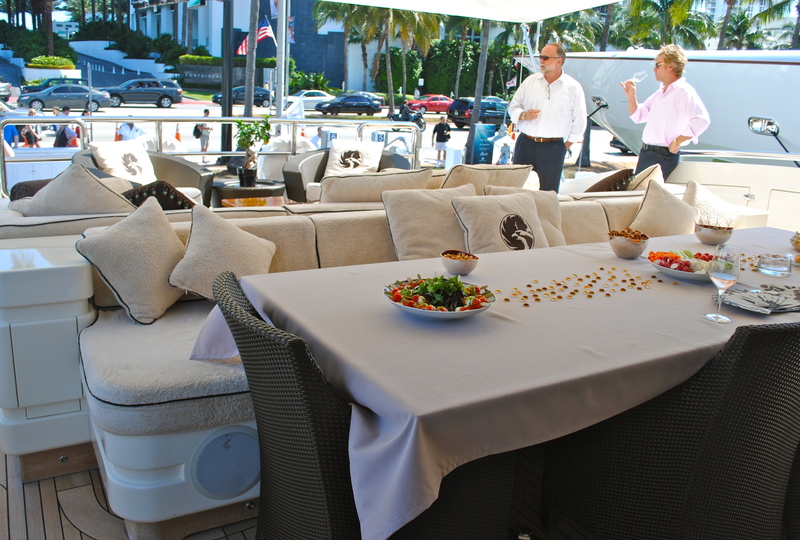 We began our visit on the aft deck, ideally designed for the entire charter party to relax, enjoy the view and dine al fresco. 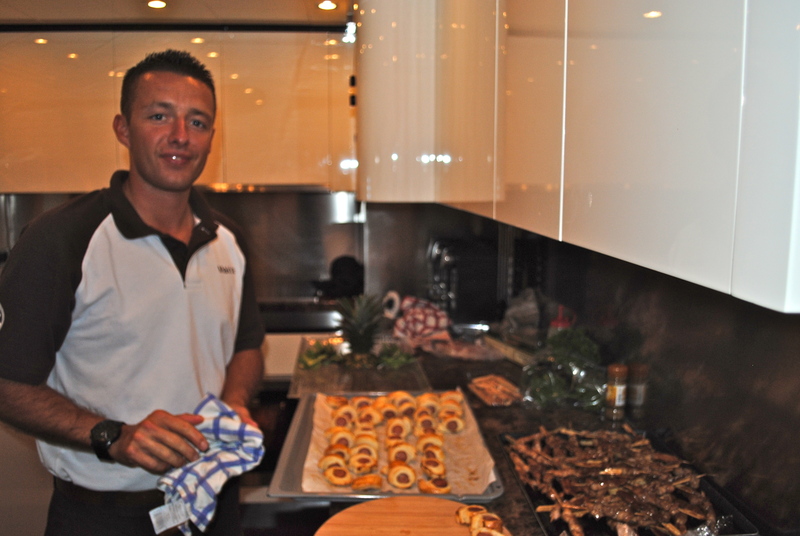 French Chef Willy Pastel excels at preparing sophisticated gourmet meals that range from the exotic to the traditional. His background at hotels such as the Plaza Athénée in Paris, and on charter yachts worldwide, has provided him the opportunity to discover and master many cuisines including: French, Italian, Asian, Russian and Creole. The formal dining room forward of the main salon has doorways both port and starboard leading to the helm that can be closed to create a more private space. When these doors are open, along with a central window, guests have a forward facing view standing anywhere in the salon. This architectural innovation serves to augment the sense of space and visually integrate the main deck. The stairway enclosure (starboard) is used as additional counter space and bisects the salon and dining area to subtly define the spaces. Below, the design theme is repeated with contrasting rich dark woods, white carpeting and light fabrics. 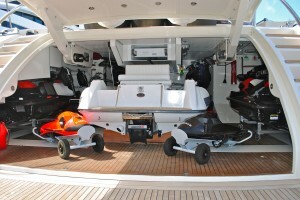 The palette suggests the Asian concept of yin and yang to impart a feeling of overall balance on board. Luxury superyacht MAKIRA features an open and spacious master stateroom, a very sizable VIP, a double and a twin stateroom, which together provide accommodation for up to nine guests. 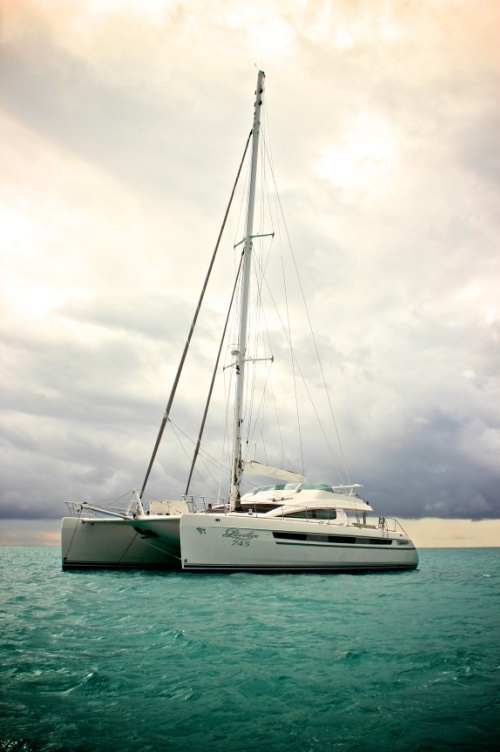 MAKIRA is currently available in the Bahamas based in Nassau. MAKIRA will be in the Western Mediterranean in time for the Cannes Film Festival and Monaco Grand Prix and may consider charters in Croatia from June. To view all of the photos of MAKIRA from the Miami Yacht and Brokerage Show please visit Sunreef Yachts Charter Facebook Album Italycraft 141 MAKIRA. 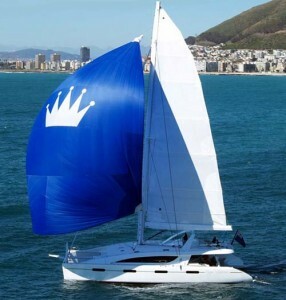 For a comprehensive selection of luxury charter megayachts, superyachts, sailing and racing yachts and catamarans worldwide please visit Sunreef Yachts Charter. For up to the minute information on yacht charter availability please contact the charter professionals at Sunreef Yachts Charter. 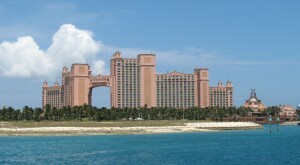 Nassau and Paradise Island offer a variety of activities to suit all ages and preferences. 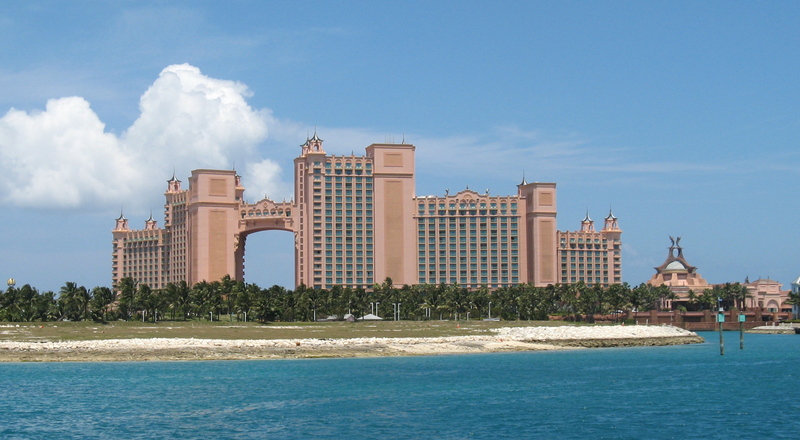 For families, Paradise Island Resort has the largest waterpark in the world, dolphins to swim with, and an amazing aquarium. Downtown, culture buffs will find colonial architecture and pirate museums. Shoppers have straw markets and duty–free, upscale boutiques. Nightlife includes Vegas–style casinos and vibrant nightclubs. Fly into Nassau, transfer to luxury charter yacht PARADISE, meet the crew and plan the remainder of the day. 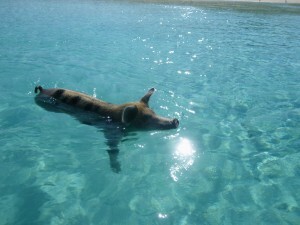 The following day, head south to the Exuma Island chain. 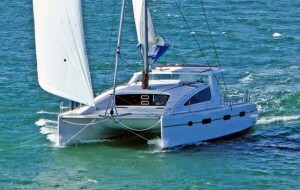 Each island is unique and together they offer unsurpassed cruising grounds and anchorages. Each land has its own charm, people, beauty, friendliness, and harbors. Embark on a vacation where giant starfish, wild iguanas, swimming pigs, dolphins, turtles and sharks are far more numerous than people. Allen Cay is the first cay of interest in the Exumas chain. It is uninhabited except for a rare and endangered species of iguanas not found anywhere else in the world. The prisitne beach is perfect for a liesurely walk and optimal for nature photographers, especially those fond of iguanas. The anchorage here is lovely and protected. Highborne Cay is a privately owned island. Stop by the marina to sample some fresh Bahama bread, walk along pristine beaches or snorkel offshore. The anchorage, which is close to the cut, is ideal for deep water fishing. 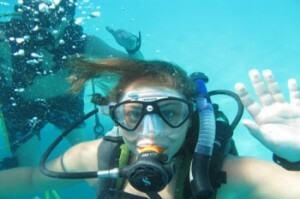 Neighboring Saddle Cay is fun to explore by tender. Shroud Cay, an uninhabited cay owned by Exumas Land and Sea Park, is an archipelago of cays and rocks surrounding a shallow tidal mangrove salina which serves as a unique nursery for conch, crawfish, sea turtles, birds and many varieties of fish. The beach on its eastern side, accessible from the western anchorages through a mangrove river, is probably one of the most beautiful beaches in the world. Unspoiled with crystal clear waters, the colors are simply magnificient. Providing there is wind, this is an amazing place for kitesurfing and the Shroud river is interesting to explore by tender or kayak. 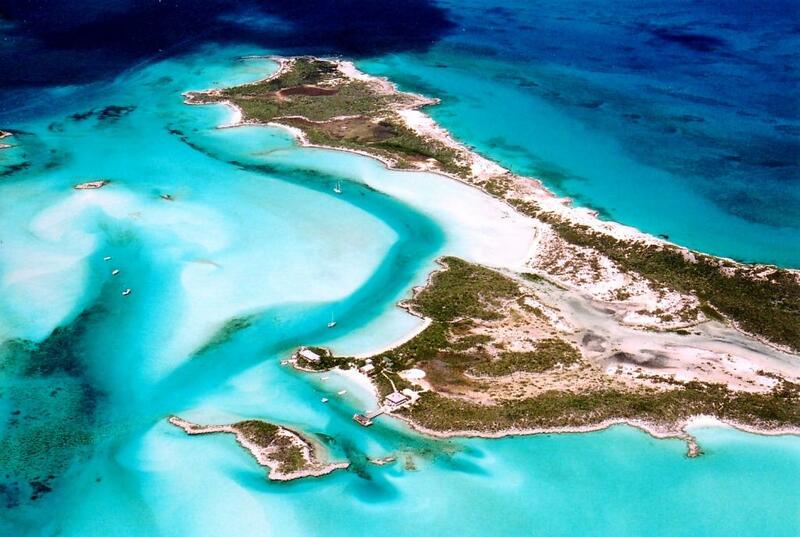 If you boat around to the back of the Exuma Cays Land and Sea Park, you can climb up to one of its highest points. To do so, you need to wade through shoulder deep water and climb up a rocky path, but the 360 view is so worth it! This island was selected to be the headquarters for the Exumas Park due to the wide variety of naturally occurring ecosystems, and it’s centrally located geographical position within the park. From rocky bluffs to sand dunes, mangrove creeks and sand flats, this island has it all. Hike across the island on more than seven miles of trails. 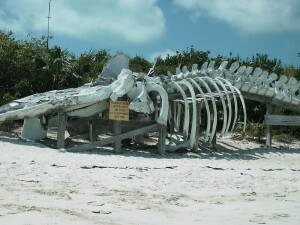 Vist the skeleton of a 53’ Sperm Whale (died after swallowing a plastic bag) that watches guard over Powerful Beach. The southwest end of the island is the pirates hangout. Stromatolites, an ancient and very rare form of early life on earth, line the sand bank. 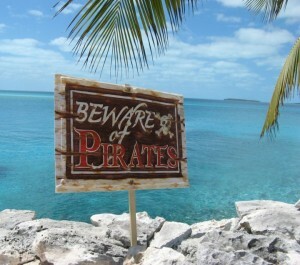 A short trail leads from the beach to the Pirates Lair on Warderick Wells. 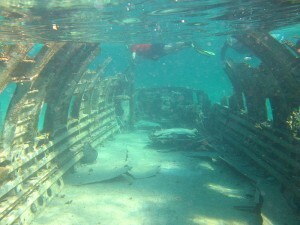 Numerous snorkeling and exploring opportunities abound in this area. On Saturday nights, cruisers frequently gather around the small tiki hut on the beach for a happy hour. Cambridge Cay, also known as Little Bell Cay, is privately owned but visitors are welcome ashore. Here visitors find a very nice anchorage off a beautiful beach. The rock wall on the cay is believed to have been some kind of holding pen for animals. Conch Cut has a stand of pillar coral over four feet high – one of the largest remaining stands of pillar coral in the region. A magnificent crescent shaped half mile beach, voted one of the best in the Bahamas, is just one of 13 on Compass Cay where visitors enjoy swimming and shell collecting. Snorkel the many shallow reefs surrounding the island or swim with Tucker’s pet nurse sharks. There is also a batcave and Rachael’s Bubble Bath”, a large natural pool full of bubbles formed from ocean waves that crash over the edge of the lagoon. Fishing enthusiasts will enjoy bonefishing in the creek. 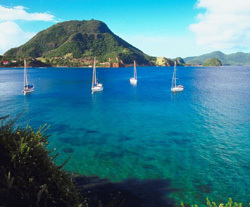 Yachtsmen can stretch their sealegs hiking trails to the Low Tide Airport, Hester’s House, the old Haitian shipwreck, or circumnavigating the island. In the evening, meet other boaters at the marina for sundowners and watch for the elusive green flash. Dock at the marina or at anchor. 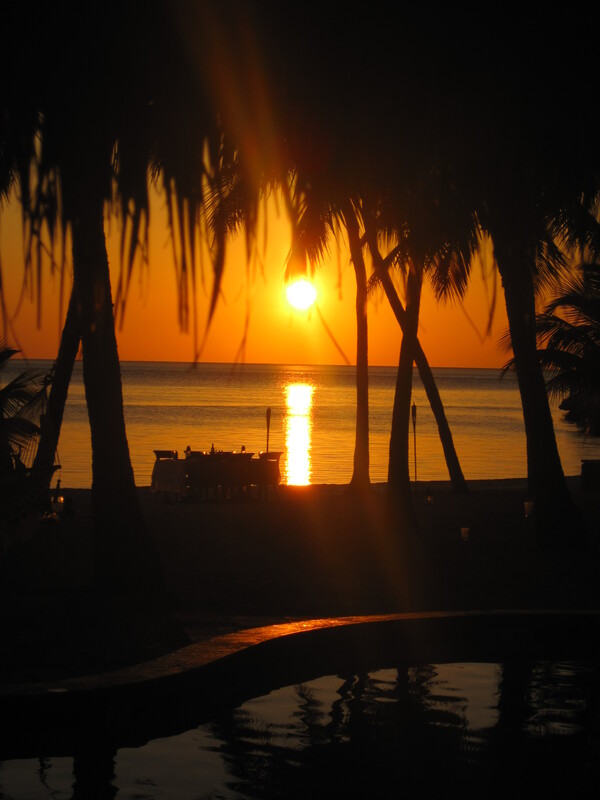 Fowl Cay, a private 50-acre island, features a lovely resort with amenities that include an excellent bar and restaurant, tennis court, swimming pool and beach games. Spend the day relaxing on shore or explore the surrounding islands by tender. Staniel Cay is one of the few inhabited islands inthe Exumas and home to the renowned Staniel Cay Yacht Club, the only full service marina in the cays. 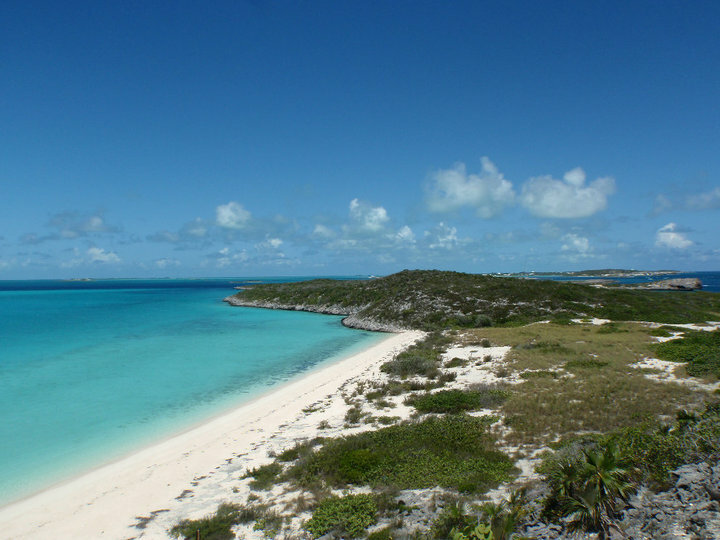 Staniel Cay is located just a few hundred yards from Fowl Cay, Musha Cay, Iguana Cay and Thunderball Grotto, this latter is the location of the James Bond film “Thunderball”. 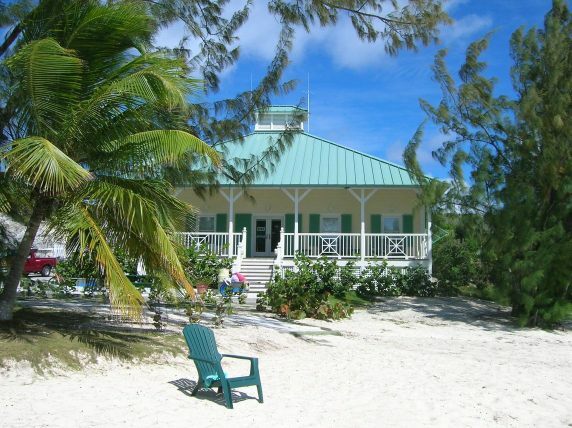 Staniel Cay is the activity hub in the cays, and a favorite destination of yachtsmen. 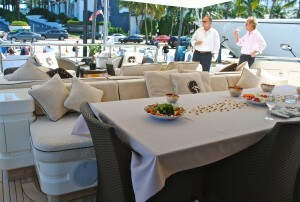 The yacht club restaurant is the place to be for lunch, dinner, and nightlife. An airstrip, grocery store, and a few shops round out the island’s offerings. Bitter Guana Cay offers another great anchorage and magnificent beach. Hike the short path that leads to the far side of the island where there is a picturesque rocky shoreline and a small grotto filled with shells and rocks. 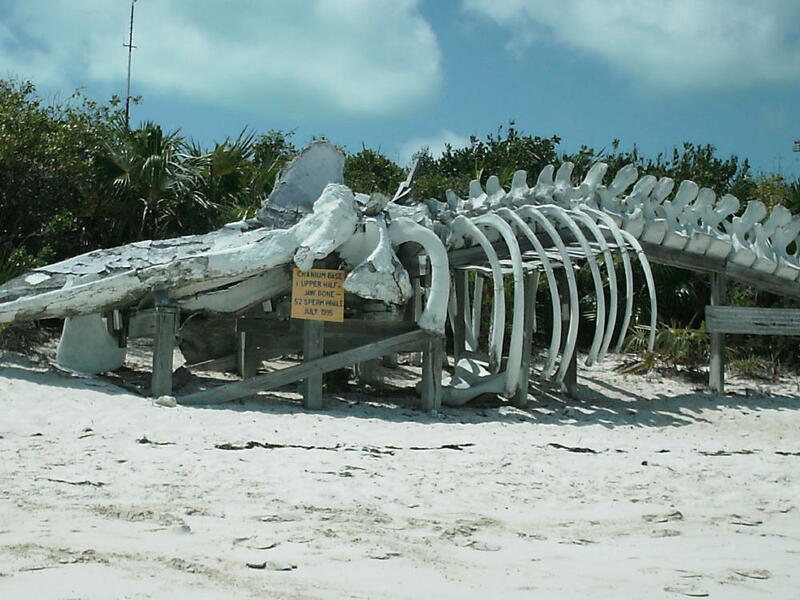 The town of Black Point is small and friendly, located near the northern tip of Great Guana Cay. Take a shore excursion to visit this charming Bahamian settlement where most of the homes are cinderblock, stuccoed and painted in pastels, creating pleasing splashes of color. Chat with the locals, stop in at Lorraines Cafe and visit Doris’ Gift Shop for local souvenirs. Take time to discover what day to day life in the Bahamas is all about. Later, hike to the bluff to see the impressive Dotham Cut. This largly under-developed cay with about 60 congenial residents boasts a bit of civilization. Ocean Cabin has villa rental, convenience store, wholesale and retail and other assorted services including a popular restaurant. The proprietor, Terry Bain with his wife Ernestine, are a local institution. Stop by for lunch or dinner, a game of dominos and and a bit of his repartee. The Farmers Cay Yacht Club has a great bar, waterfront restaurant, bakes bread to order and operates a small grocery and liquor store. Today charter guests must bid farewell to the spectacular Exumas, their wonderful crew and beautiful yacht, and begin to dream about their next Caribbean Charter adventure with Sunreef Yachts Charter. For those catching an evening flight or extending their stay, George Town has plenty to offer. The capital and largest city in the district, George Town (permanent population 1,000) was founded in 1793 and boasts a colorful history. Pirates used Georgetown’s deep water harbor during the 17th century and the “plantation aristocracy” from Virginia and North and South Carolina settled here in the 18th century. Elizabeth Harbor became a refitting base for British vessels and the U.S. Navy used the port during World War II. Today George Town is a vibrant place with delightful shops, restaurants and bars. Two Turtles Inn and Eddie’s Edgewater are spots to try out, as well as February Point, which includes a great restaurant/bar that has live music one night per week. Another option, but further out of town, is the Four Seasons Hotel that has a number of bars both indoors and out. For those who enjoy a relaxing game of golf, play 18 holes at Sandals Emerald Reef Golf Club, designed by professional golfer Greg Norman. 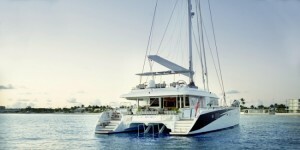 PARADISE is a strikingly handsome yacht, a new and exciting option on the Caribbean charter circuit. The Dutch shipyard Wim van der Valk’s largest build to date, PARADISE is a custom designed totally steel, semi-displacement yacht that was delivered in 2010 and has been in private service until today. PARADISE is perfect for charter families with children seeking an active adventure cruise through the islands of the Bahamas. From the aft deck throughout the yacht the aura of PARADISE is calming. The main salon is soothingly minimal and monochromatic, an excellent choice of décor that compliments the dark wooden sole and pale cabinetry. A custom designed oversized couch extends along the starboard length while to port the sizeable TV conveniently disappears into the cabinet to create a buffet space. Oversize windows wrap around the entire main deck and in the ceiling a retractable roof allows for fragrant sea breezes and the multitude of stars to shine in at night. On the lower deck of PARADISE, the spacious master aft has lovely large portholes with snap on mosquito screens for balmy weather when fresh air is preferred over air conditioning. 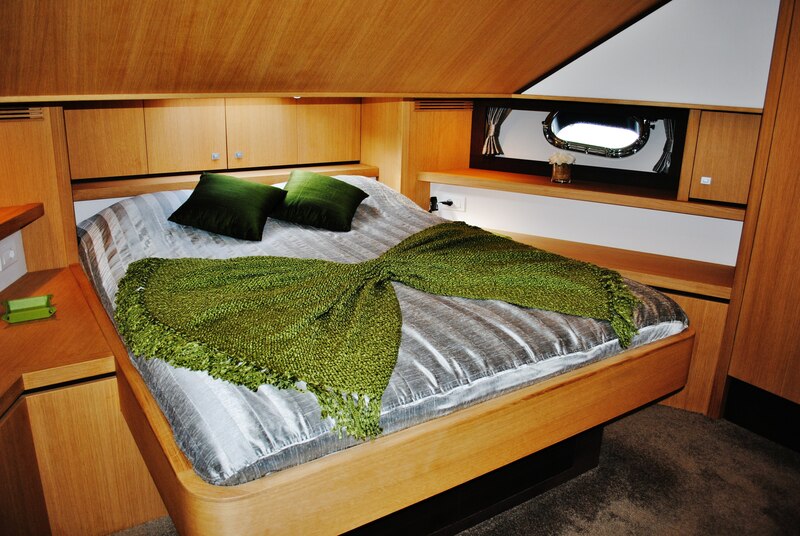 The VIP in the bow features a walk around queen bed and ample storage. Two additional guest cabins have twin single berths that are perfect for children. 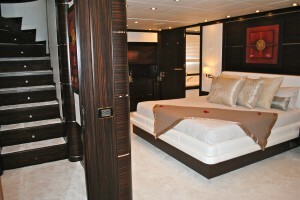 Three of the four guest cabins are ensuite while the fourth has direct access to the day head. 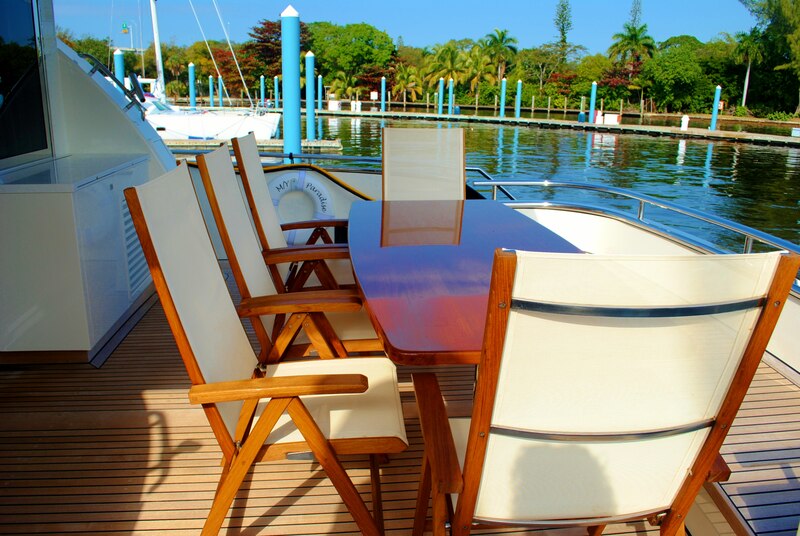 Outside, the aft deck is equipped with a hard bimini that fully extends to protect guests from the sun and is also equipped with side and aft shades in the event of foul weather. The bimini, barbeque, fridge and sink located here are extremely convenient, especially when fishing. Proceeding to the bow we notice that the wide walk around decks feature hand rails above the meter mark thoughtfully installed so as to protect and assist younger guests as well as adults. Up front the on-deck Jacuzzi has more jets per inch than we’ve ever seen before. This is the prime place for a bit of relaxation and sun worship, equipped with a state-of-the-art stereo system and an enticing expanse of sun pads. Captain Nic Edmonds is from New Zealand and has been on boats “since he was a whippersnapper”. In addition to long term industry experience as crew and captain on numerous yachts, from day charters to private superyacts, Nic has open water dive certification and enjoys snorkeling and free diving. Latvian Stewardess Agnes Bolsevica studied and worked in London in the hospitality industry prior to succumbing to the lure of the sea. 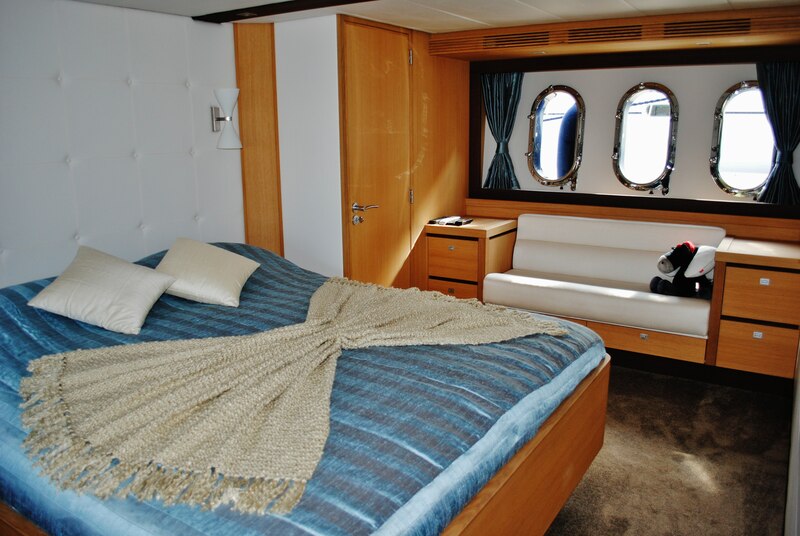 She was delighted with the opportunity to spend last summer and autumn on board PARADISE cruising the Mediterranean and anticipates an excellent charter season in the Bahamas and the Caribbean this year. Agnes speaks Latvian, Russian, English and French and enjoys surfing and photography. Please contact Sunreef Yachts Charter for details about chartering PARADISE and helpful information about Bahamas Yacht Charter.